Renamed Sally Smith in Alabama, she may have been 110 years old at the time of her death. Wreckage of Clotilda, the last slave vessel to arrive in the United States in 1860. Now researchers have identified Redoshi as the last known African-born survivor of the trans-Atlantic slave trade when she died in 1937, according to a statement released Tuesday by Newcastle University in Great Britain. Renamed Sally Smith in Alabama, she may have been 110 years old at the time of her death. Until now, researchers believed the last survivor of the transatlantic slave trade was Oluale Kossola, also known as Cudjo Lewis. But, according to research by Hannah Durkin, a lecturer at Newcastle University, Redoshi lived two years longer than Cudjo, who died in 1935. Durkin said she first saw a reference to Redoshi in the writings of Zora Neale Hurston and began researching her life story from other writings. In 2018, HarperCollins published Hurston's manuscript, "Barracoon: The Story of the Last 'Black Cargo,'" 90 years after she wrote it. "Barracoon" detailed the life of Kossola, or Cudjo Lewis, who was just a teenager when he was captured in what is now Benin. Kossola and more than 100 Africans were forced to board the Clotilda in 1860, even though the United States had banned the importation of enslaved people in 1808. The Clotilda, a retrofitted timber cargo ship, illegally carried 110 Africans to Mobile, Alabama. It was the last slave ship to arrive in the United States. Redoshi was among the human cargo, Durkin said, and the story of her life provides important information on the illegal slave trade and the tragedy of slavery. "These materials add hugely to our understanding of transatlantic slavery as a lived experience," Durkin, a lecturer in literature and film in Newcastle University's School of English Literature, Language and Linguistics, said in the release. "Now we know that its horrors endured in living memory until 1937, and they allow us to meaningfully consider slavery from a West African woman's perspective for the first time." After she was kidnapped and forced aboard the Clotilda, Redoshi was sold in Alabama to plantation owner Washington Smith, who also founded the Bank of Selma. There, she was given the name Sally Smith. 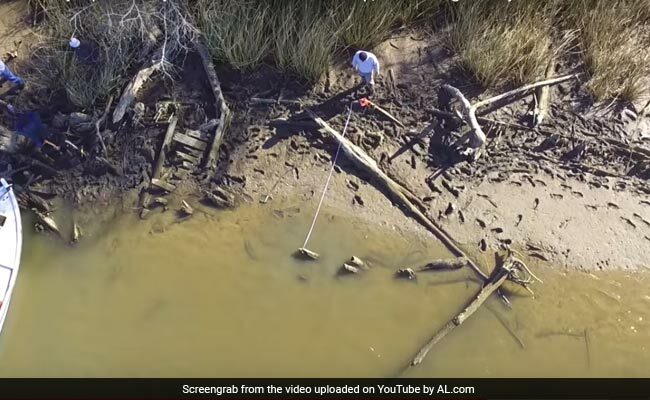 Last year, a reporter discovered what he believed was the wreck of the Clotilda, buried in mud along the Mobile-Tensa Delta, just north of Mobile. According to historical accounts, the owners of the ship burned it in 1860 to hide evidence of its illegal human cargo. In Alabama, Redoshi was forced to work nearly five years "in both the house and the fields," on the Bogue Chitto plantation in Dallas County, Alabama. "Her husband, who was known as William or Billy, was kidnapped with her and died in the 1910s or 1920s," Durkin said. Durkin said she found information about Redoshi's life in an interview in the Montgomery Advertiser, and in "Bridge Across Jordan," a memoir by Amelia Boynton Robinson. After the Emancipation Proclamation, Redoshi continued to live with her daughter on the plantation where she was enslaved until her death in 1937. "She lived through tremendous trauma and separation," Durkin said, "but there is also a sense of pride in these texts. Her resistance, either through her effort to own her own land in America or in smaller acts like keeping her West African beliefs alive, taking care in her appearance and her home and the joy she took in meeting a fellow African in the 1930s, help to show who she was."